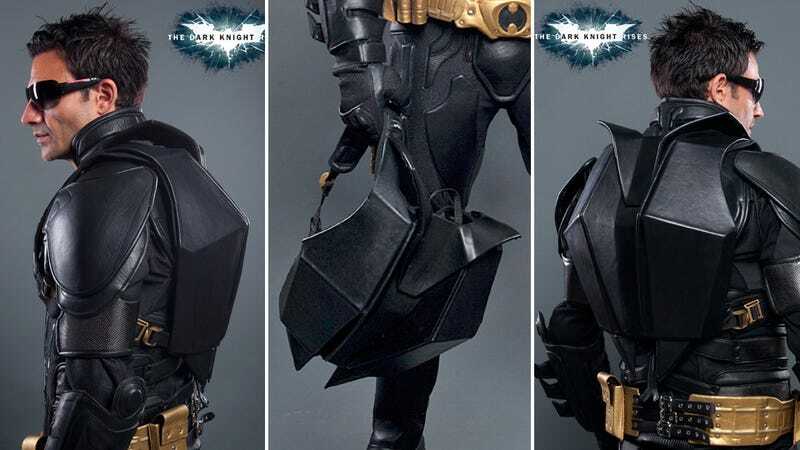 A company called UD Replicas—known for making bike leathers based off movie costumes—has brought to life one of Batman's more obscure accessories from the recent Christian Bale films. First seen in The Dark Knight while Batman stands atop a skyscraper in Hong Kong, Batman's backpack can now be yours for about $300. Crafted from leather, the backpack is actually designed to be worn over the company's replica Batman armor. But there's nothing stopping you from using it to accessorize and badass-up your hoodie and jeans. You probably won't be able to fit more than a couple of textbooks in there, but there appears to be more than enough space for batarangs, smoke bombs, and shark repellant—things you'll actually need to get ahead in life.